The Fight With Nancy Pelosi Over Regaining Speakership Just Got HOTTER! 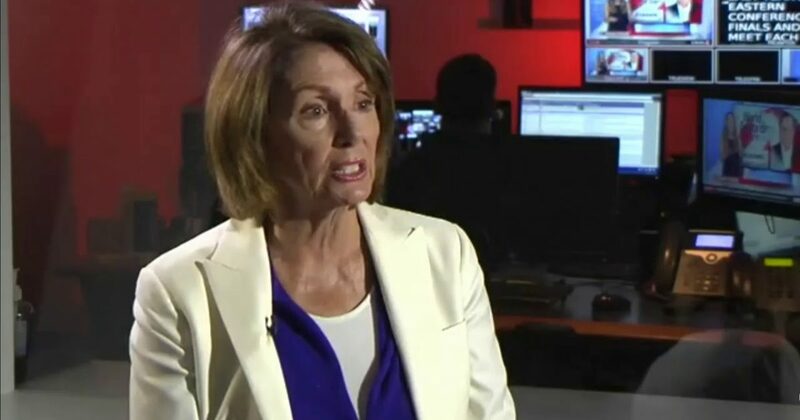 House Minority Leader Nancy Pelosi is already being challenged for her role as Speaker of the House. The Congressional Black Caucus has a vision that when they take over the House in November, they will install the first black leader of the House. That is assuming a lot on their part, but the battle is already on and Ms. Pelosi is not going to go quietly into the night. She intends to reclaim the House gavel and her former role. The infighting has commenced before the position is even available. The Congressional Black Caucus is reportedly planning to challenge House Minority Leader Nancy Pelosi (D-CA) for the position of Speaker of the House after the November midterm elections — assuming Democrats win the majority. In May, Pelosi, 78, declared that she intended to reclaim the Speaker’s gavel if Democrats won. “We will win. I will run for speaker. I feel confident about it. And my members do, too,” Pelosi told the Boston Globe. In February, she showed that she still has the sheer physical stamina for the job by staging a record-setting eight-hour-plus speech on the floor of the House of Representatives. And she remains one of the Democratic Party’s most important fundraisers, meaning that many members feel they owe her their positions. However, Republicans managed to stave off Democratic challengers in several special elections last year by tying them to Pelosi. In 2018, many of the Democrats who have won special elections in Republican districts have done so by promising explicitly not to support Pelosi’s return as Speaker. And dozens of Democratic candidates have promised not to vote for her if they are elected to the House…..